Having both a cat and dog (or more than one of each) in the same house can be a tough thing to handle. In fact, it might even spell disaster for some households. 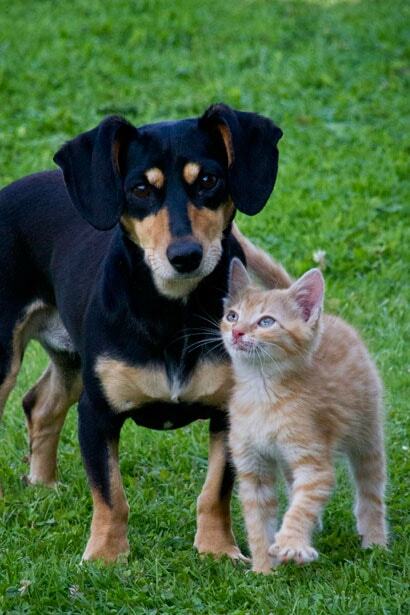 Cats and dogs don’t tend to get along, especially if you try to put them in the same area. But a clash of personalities and wills are just the beginning of your problems when it comes to having these two different fur kids in your home. One of the big issues of having both cats and dogs as pets is when a dog get into the cat’s litter box. In truth, the dog eating the cat’s waste isn’t a huge thing to get worried about, unless it causes a huge mess every time. The likelihood of your dog getting sick from it is actually quite low. The main problem we have is from our own disgust. On the part of your dogs, they get nutrients from this unlikely source. Your cats are a different matter. They may feel unsafe if the dog constantly messes up the litter box. The cat may find other places to do their business as a result. Overall, preventing dogs from getting into the litter box is much better than just letting it happen. An ounce of prevention is better than a pound of cure and all that makes a lot of sense when a mess and angry animals could be involved. 1 Why Do Dogs Raid The Litter Box? 2 How To Keep The Dog Out of the Litter Box? Why Do Dogs Raid The Litter Box? As humans, we understandably find the act of eating feces a very gross practice. However, it is actually a very common form of behaviour for dogs. It’s normal enough that there is a name for this sort of thing – coprophagia. This is one reason for dogs to raid their feline siblings’ litter boxes. It’s part of their nature. This kind of behaviour is more prevalent in young puppies, but some older dogs practice it as well. Dogs, though it may be hard to believe, like their living spaces to be clean. They are willing to go to extreme lengths to ensure this, including eating poop. Whether it’s their own poop that’s involved or that of their housemate’s doesn’t matter to them. If a dog feels that the litter box and its contents are dirtying the place up, they may take matters into their own paws and deal with the problem. By eating it, yes. Your dog getting into the litter box may also be less of a problem stemming from the dog and more from you. Paying too little attention to your dog may cause them to find other ways to attract your attention. Dogs are very much like children in this scenario. They want and need your time and affection. Neglecting to spend time with your pets will tend to cause them to act out. There’s also the factor of accessibility. Some dogs will mess up the cat’s litter box just because they can. Giving dogs the freedom to roam around the house can have many disastrous outcomes, and getting into the litter box is just one of them. This may not be the easiest or the most foolproof method to get your dog to stop messing with the litter box. However, it is still a worthy avenue to try going down. You can train your dog to keep away from the litter box. This might be aided by trying to identify the cause of your dog’s coprophagia. It may just be that your dog needs more care and attention from you and giving it more frequently will help the situation. Do your best to stop your dog’s actions when going for the litter box. Don’t be too aggressive with this. But try your best to associate good things with staying away from the litter box and bad things with going near it. Of course, never punish your dog to do this. You can keep your dog out of the litter box by literally keeping your dog away from it physically. Depending on the size of your dog, this may be easy peasy or very difficult. You can put the litter box in a place that only your cat can reach, such as a small alcove. Another way of doing this is to place the litter box in another room and building a cat door. This will not help if your dog is small enough to get through the cat door. You can also try to block the litter box from being accessed by the dog by placing different forms of barricades. However, do remember that some ways of blocking access to your dog may also exclude your cat at the same time. That would defeat the purpose. Cats don’t have to do their business on the ground. That being said, you can put the litter box somewhere higher up so that only your cat can get to it. Your dog may find it impossible to get to the litter box if so. Or, they may get discouraged by the distance and consider the whole endeavor not worth the effort required. 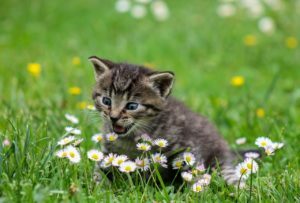 By making sure the litter box is pristine, you can not only prevent your dog from getting into it, but also give your cat a more pleasant environment in which to do their business. However, it is admittedly not the best solution as other factors play into it. You may not have the time to make sure the litter box is in the best condition the whole time. Even so, this method is a good one as long as you can sustain it. Covering the litter box will limit your dog’s access the litter box and its contents. However, it is important to remember that it limits your cat’s access to it as well. 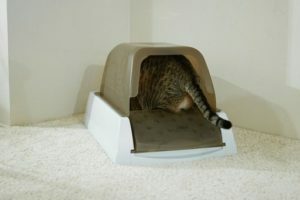 Some cats won’t want to use a covered litter box because of this reason. Others don’t feel safe if the box is within a confined space. 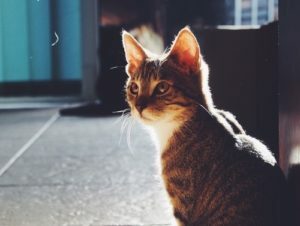 To make your life easier, as well as to maximize the comfort of your pets, it’s always a good idea to try and keep the dog out of the cat’s litter box. Hopefully, these tips and tricks will be helpful in doing so. Remember, whatever makes the fur kids happy will make you happy too.